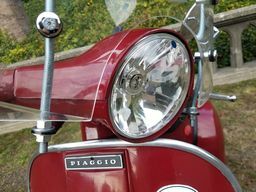 Modern Vespa : Mixture screw adjustment, got a good link? Mixture screw adjustment, got a good link? I don't think I could write down a GOOD step by step procedure for this majik art, but somehow most of my bikes idle OK, don't bog or stall on quick throttle action and haven't seized yet(KOW). I've seen various write ups over the last few years but can't find some of the best that I vaguely recall, with clear explanations of WHY to do this & do that. The usual link given to answer this question is here http://www.vespamaintenance.com/fuel/carbtune/ but it leaves me unsatisfied and seems rather vague to me - that's pretty much what I do now. Anybody have a better link or want to take a shot at a step by step for idiots like me? 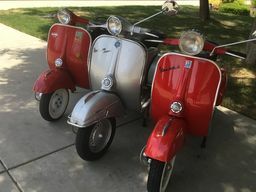 I would like to start approaching this in a more systematic way, one the Vespa masters might approve of. Here's the plumbing involved, so I just fiddle w/ #10 until it runs good? Thank you Xfrog, that's either the article I recalled or it was somebody else w/the same technique. Here's a snip on mixture setting and there's lots of other good info there as well. Bear in mind he's probably talking older Dellorto w/ the coarser threads on the screw. More screw turning for the same effect on a Spaco or newer Delly w/ fine threads. Is this what you do? Any other tricks? Start the scooter and go for a 1-2km run to warm the engine up. 1. With the engine running on the stand, take the engine side panel off. 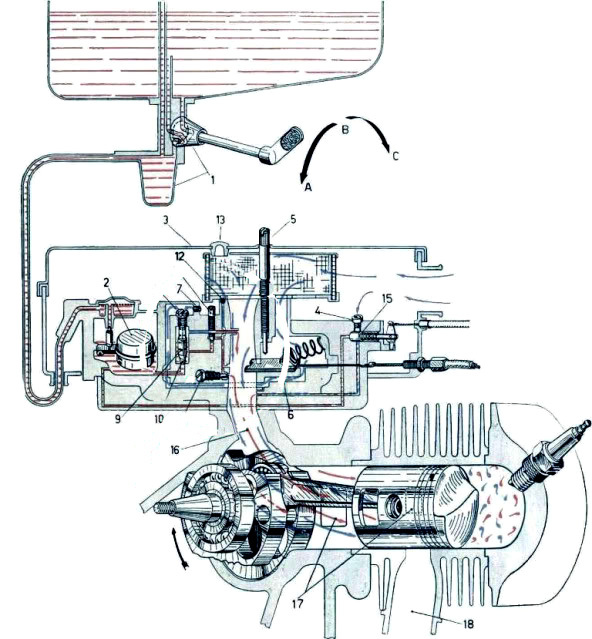 Turn the idle speed right up, the long screw with the flathead screwdriver fitting that pokes out of the carb box top, turn clockwise in. The engine will be racing now! 2. Immediately turn the mixture screw on the back of the carb all the way in, the engine will get choppy and the idle will drop. On PX200 models it will require an 7mm spanner, there's not much room in there. 3. 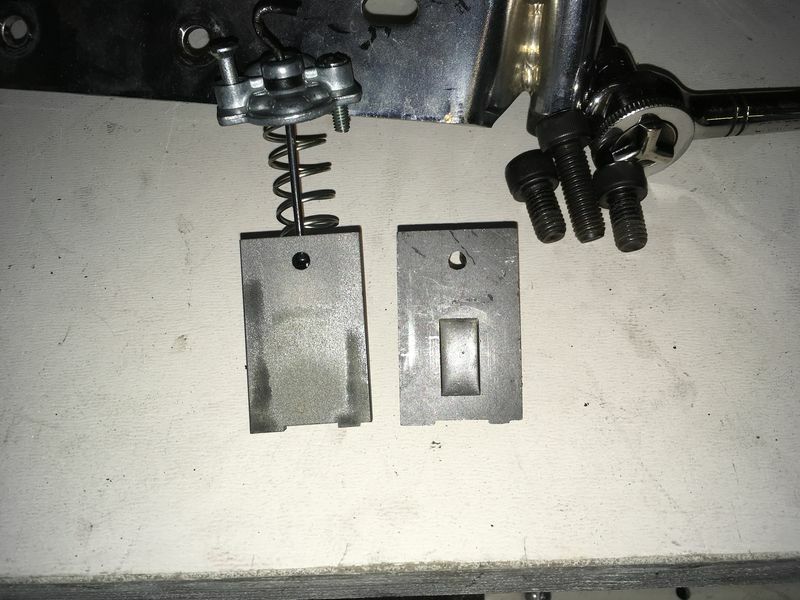 Immediately then turn out the mixture screw from closed in 1/4 turn increments, the idle will increase and the engine will start to smooth out. Take a few seconds wait between each 1/4 turn out. Count the number of turns as you open the fuel screw out. 4. You'll get to a point where the the engine will have smoothed out and the idle stops increasing when you turn out the mixture screw. This is close to where it should be set. 5. Adjust the idle speed back down to an acceptable running level. Then listen to your engine when you blip the throttle. You should be able to blip the throttle, the engine should rev. clean and it shouldn't either bog, or 'hunt out the setting'. It should rev. and return to a good idle within 1-2 seconds. 7. Make a small adjustment here if necessary. 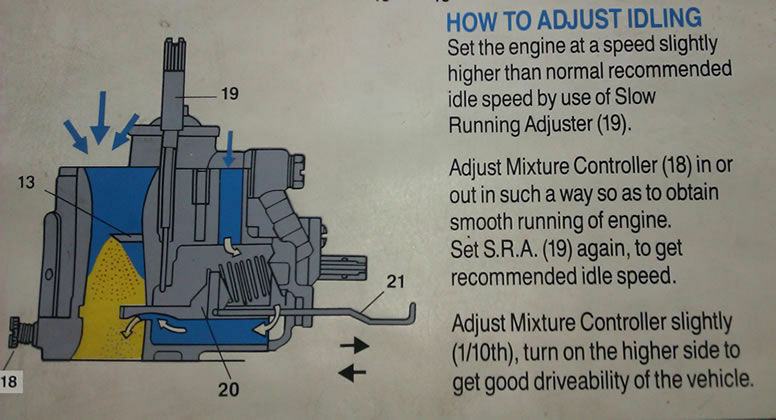 Then adjust the idle speed slightly. 8. On tuned Vespas, if it takes more than 4 complete turns, then pop in a richer idle jet, and repeat. This is the smaller jet on the left. The PX200 runs a standard 160/55 idle jet. The T5 runs a richer 100/50. 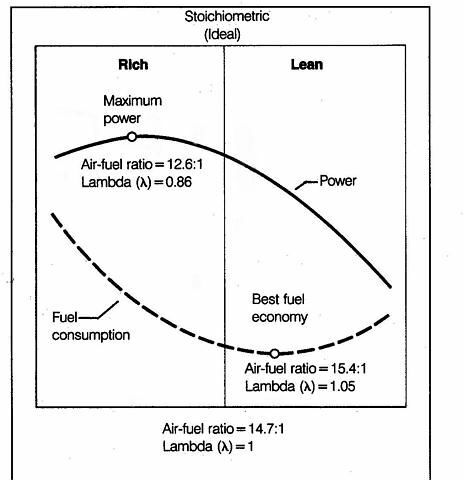 The richness of the idle jet is the ratio of the two numbers, the lower the number, the richer the idle jet. The 100/50 is 2.0, the 160/55 is 2.9. The 100/50 is therefore richer. 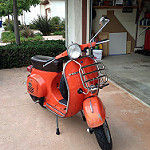 If it takes less than 2 turns on a tuned Vespa, consider popping in a leaner idle jet and repeat. RE #6, I believe you would turn the screw in or clockwise if it's too rich or out if too lean. I like the procedure that xantufrog linked. SIP's tutorial on adjusting SI carbs is xlnt... clear, concise, simple. 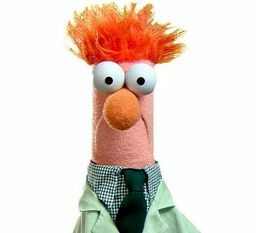 Should be a wiki. ohh... just dowloaded the sip document, super! That SIP document got me exploring the "pimp my si carb" options....very interesting stuff. I found this which adds another element to things carburetor. Now you can justify jetting higher to protect your top end AND for more power. Huh. I always read that ragged edge of lean was most powerful, just before you seize. Me too, I've always richened a bit until power just starts to be effected and leave it there. I am diggin this thread!!! Turned into a tips an trix for our silly Si carbs!! I think I gave a good analogy today when it comes to up jetting, feel free to borrow it, (my friend) "how do you know when you get to the right jet size?" (me)"like feeding your baby, give it milk until it chokes"
You know, when I first read this thread, I thought - "meh". But then I tried that method of setting idle in the SIP guide yesterday after I had put my old slide back in, and it makes life really easy. Nice! So I take back my "meh" even though I kept it to myself before . Hi sdjohn, what slide are you using with what carb if you don't mind? You know I found myself asking that question this morning. It looks like the number 4 with regular cutout based on the pictures. I should have taken a picture of both sides but I didn't. It's whatever comes standard in the DRT 24.24, which is a reworked SPACO, SIP part number 400000t7. The slide on the left is the SIP 4.2, which has no cutout. Thanks John! I'm trying to work a bog out on my Rally in first and second. It has a Road 2.0 and 3rd and 4th are powerful but 1 and 2 stumble a bit. I have it jetted like they say it should be but it still feels off. I found the table that sip has on what each carb is delivered with. My carb is running a #4 slide. I could never really get 1st or 2nd to rev out right with my SIP Road either. Hey guys new to the forum. Hope you're all well. Just been reading the above posts and links as I will need to adjust the carb mixture when I put a new (standard non cat) exhaust on my PX as well as going up a couple of sizes on main jet. I did the mixture screw adjustment on my old LML and the way I did it (based on what I had read) seemed successful. The actual adjustment method of the screw in articles/manuals often seems a bit vague. If I can try and put it clearly please correct me if I'm wrong. 1. Start and warm up scooter. Turn idle speed screw so engine runs faster. 2. Screw in mixture screw (clockwise) and check engine almost dies. Quickly unscrew by 1/4 turn increments and listen to the engine. It'll be running rough (no 2 stroke 'rhythm' boom boom boom, totally sporadic.) As you unscrew the mixture screw a more rhythmic idle beat will start. This setting sounds about right. 3. Blip the throttle to ensure it doesn't bog if rich or give that hollow lean mixture noise. 4. To be safe I then unscrew another 1/4 turn just to ENSURE it isn't running lean. I'm so paranoid!! 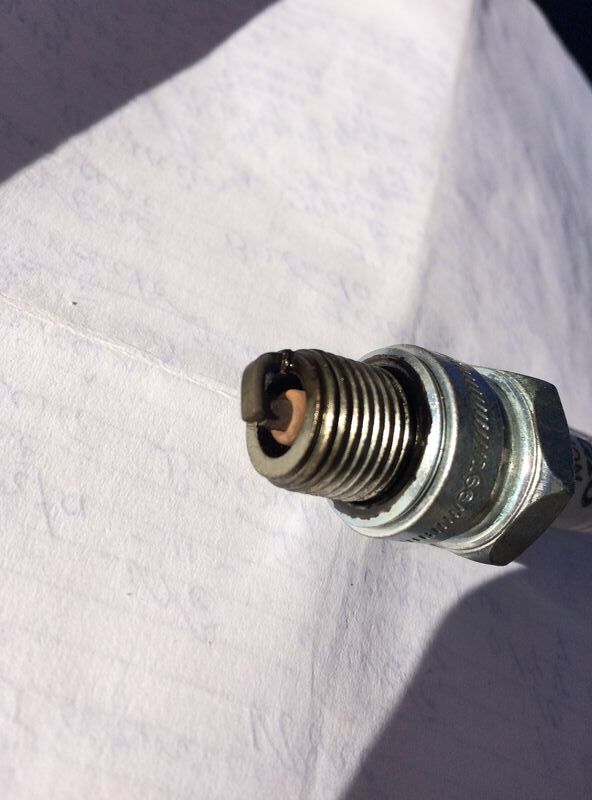 Keep a check of the spark plug colour also. Can anyone tell me if I'm doing anything wrong? My old LML responded well to this so I'm guessing it was correct, but just checking I've interpreted all the literature correctly. ..your method is perfect...been doing it like that for years and it works. If this does not work then suspect air leaks.points/condensor for 6volt systems or pickup /cdi (lecky nish systems). ....and quite often have to tweak mix with 1/8th turns (on dellorto.,quarter turns on spaco)AFTER returning the idle back to normal. Thank you. The Vespa is currently running rough with the cat exhaust on so tried to adjust the mixture nut.......how hard??!! I was only able to move it a couple on mm a time. Bought a spanner and going to heat it over the stove and bend it to a shape that might make the process easier. If there are any leaks I will try tightening the carb down but anything else I'll have to take it to the specialists. Is it normal for the bike to run like a bag of old nails with the strangled exhaust on? It bogs away at low revs then suddenly 'takes off' 1/4 throttle. It's all or nothing. Let's hope it all goes smoothly when I derestrict. To save you some time. These little carbs are not as simple as they first appear! The mixture screw on the back of the SI carb adjusts the mixture for tickover and about the first 2mm of throttle opening and that's it. Once you have changed your exhaust. Start with the mixture screw right out (up to 5 turns), set fast tickover and wind the mixture in until the rpm runs faster to its fastest point and stop there. If you have the right pilot jet this point will be at 2.5 tuns out (with a Spaco carb). Once the throttle is open more than about 2mm the mixture screw has no effect on the running and any bogging while below 3000rpm, would mean the pilot jet is the wrong size. Thanks for starting this thread V oodoo. And for everyone that contributed to it. It's extremely helpful. I think I've read through it about 10 times, and it's starting to sink in! 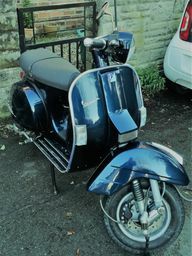 So, I am new to the forum as well as Vespas I general. I picked up a '64(?) Allstate about a week ago. I knew I was getting it so I have been reading up on it. Some short history, it was found in a pond and dug out of the mid by someone, they sold it at a garage sale to a friend if mine. When he got it, he completely restored it, new LML 150cc. He had it running good, but would only go about a half mile and would starve for fuel. I have solved that problem by shortening the fuel line. However, I have only gotten it to start a few times. When I do have it running, it idles fairly well, but if you give it any throttle it bogs and dies. If you hold out on the choke some it will overcome the bog. Does anyone have any ideas on where I should begin? This is good stuff for generally understanding what goes on. 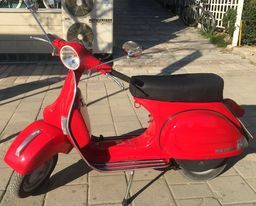 It is not Vespa or Delorto specific but good none the less. I had some similar issues but watched some videos on simple carb cleaning. Just by removing the idle jet and main jet and giving them a good burst with carbaretta cleaner it ran fine. I also had some oil in the bottom of my carb wich didn’t help the problem. I have the Allstate running quite well now. Carb cleaner sprayed through the jets easily so I assumed they were clear. I ended up running a torch tip cleaner through them and that seems to have solved my problems. Kyvelis, thanks a million for your imput. 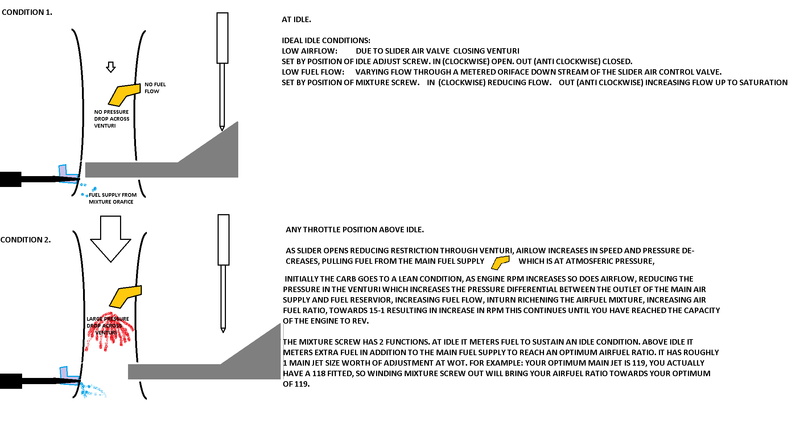 The graphic above, helped me understand what the air/fuel mix screw served for. I immediately adjusted mine from 3 revolutions (sooty plug) to 1.5 (nociola color plug) and voila problem solved.